Welcome to “the OOFOS Footwear Giveaway”!” You can read more about my review here. 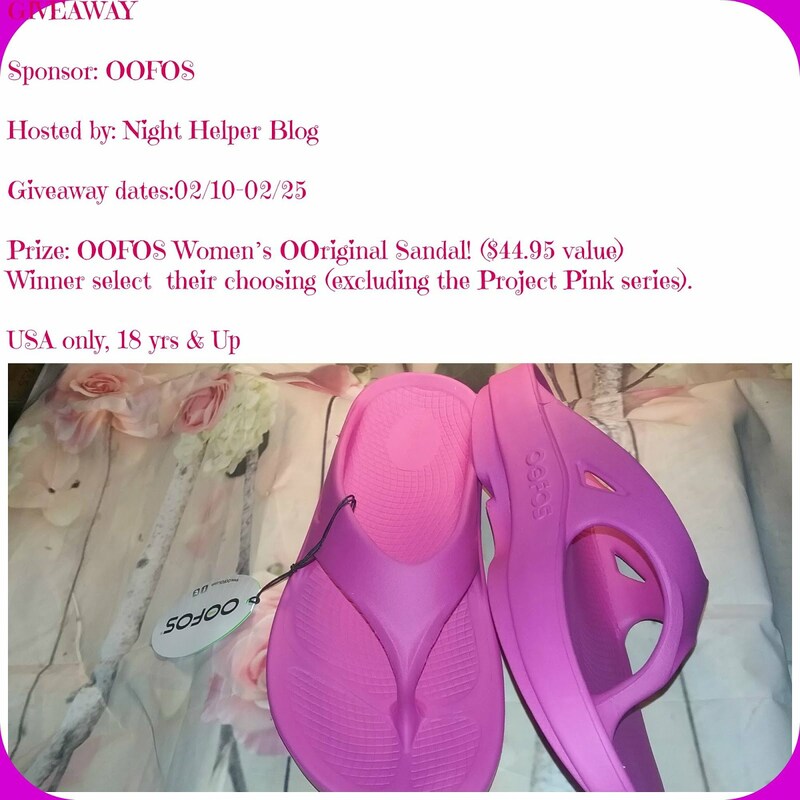 ONE WINNER will win a Pair of OOFOS Sandals ($44.95 value) Sponsored by: OOFOS Footwar Hosted by: Night Helper Open to: USA only 18yrs. + Start date: 02/10-02/25 The winner will be notified via email and will have 48 hours to reply. a Rafflecopter giveaway Disclosure: We reserve the right to make revisions, to cancel, or suspend this contest for any reason. We are not associated with any of the companies named above. The odds of winning are based on the number of entries received Open to the US 18+ only. Confirmed Winner(s) (by Random.org) will be contacted by email. Winner(s) have 24 hours to respond before a new winner is chosen. No purchase necessary. Void where prohibited by law. The sponsor(s) will be responsible for product shipment to winner(s) of this giveaway. Night Helper Blog (and any other blog participating) is not responsible for product shipment/delivery. This event is in no way administered, sponsored, or endorsed by, or associated with, Facebook and/or Twitter, Google, Pinterest. This disclosure is done in accordance with the Federal Trade Commission 10 CFR, Part 255 Guides Concerning the Use of Endorsements. Entrants must only enter with either one email address, IP address and/or Facebook account, anyone found violating these rules will be disqualified. It is at the sole discretion of the admin of the giveaway if the winner has met the rules or not. 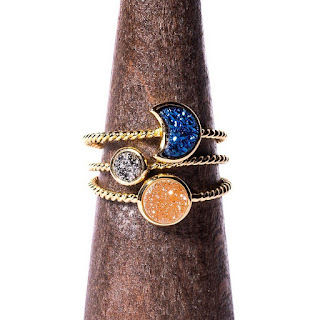 I would absolutely love these! The support and comfort would make these my live in every day shoes. I love OOFOS shoes so much! They are so comfortable. I bought my mom a pair because she has RA in her ankles but REALLY loves her flip flops. She will never own another brand as they are wonderful!